Brown cadet patrol boots. Budget boots but great seller. 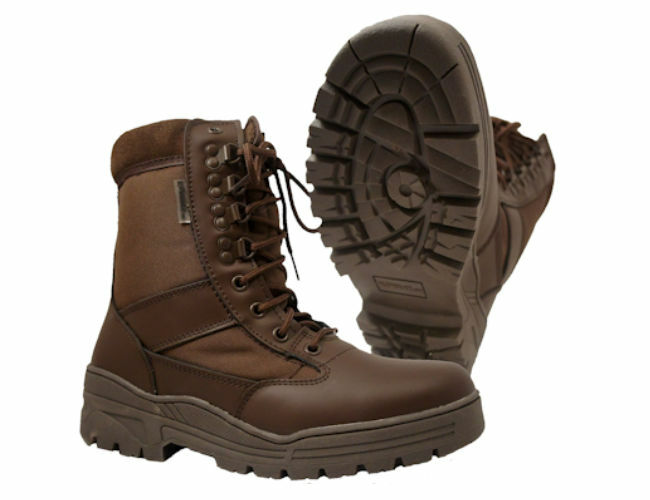 Brown cadet Combat Patrol Boots with half nylon sides for greater comfort. These boots match the new uniforms now being issued to cadets. The 9 eyelet speed lace systems allows for speedy lace up. This is a lightweight boot and will help to conserve your energy.Super Brown Half Leather Boots.